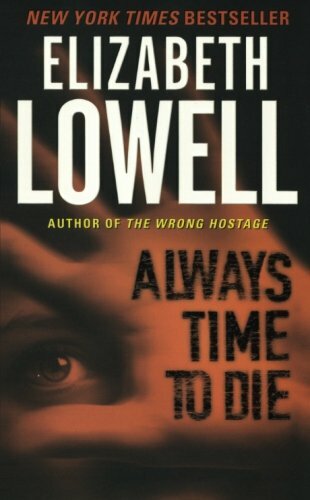 "As always, Lowell delivers top-notch romantic suspense in her signature staccato style. " Former U.S. Senator Quintrell is dead. devastating force of a Southwestern earthquake. An eccentric Quintrell aunt has invited genealogist Carolina “Carly” May to their Taos compound to compile a record of the illustrious family. But digging into the past is raising troubling questions about a would-be president’s private life…and the grisly street crime that left his drug-addicted sister dead. As a dark world of twisted passions and depravity slowly opens up before Carly, there is no one whom she dares trust—perhapos least of all Dan Duran, a dangerous, haunted enigma who’s tied to the Quintrells’ history. But she will need an ally to survive the terrible mysteries a father carried to the grave—bgecause following the bloodlines of the powerful can be a bloody business. And some dead secrets can kill.